- ArtyBird Carnforth is a local City & Guilds accredited centre for Art and Textiles, offering a range of courses in Felt Making, Embroidery & Fashion, covering design as well as craft skills. We also run a selection of Summer Schools, which can include Sewing Skills, Digital Imaging, Felt Making and Creative Sketchbooks. Check our website regularly to see information on our programme. See www.artybirdcarnforth.co.uk. You can study with us at Carnforth High School, the teaching year starts in September. Or join us on line at anytime! - Blackwell "the reawakening of one of England's finest Arts and Crafts houses"
Windermere, Lake District, United Kingdom. - Banks Lyon's Jewelers have an enviable collection of some of the World's most renowned Jewellery and Watch brands including Mont Blanc, Faberge, Cartier, Rolex, Gucci, Omega, Hearts on Fire Diamonds, Tag Heuer, Breitling, Longines, Armani, Phoenix cut Diamonds, Links of London, Georg Jensen, Charles Garnier, Royal Copenhagen Porcelain, Halcyon Days enamels and Tissot watches. The Big Leaf Book Co. produces handmade notebooks, journals, sketchbooks and books for doodling in. If you have a passion for blank books, if you love the first page of a new journal, then perhaps we can make something special for you. Big Leaf Books is based in the North West of England and specialises in producing handmade, stylish books. Our full product range which includes sketch books, journals, notebooks and doodling books. 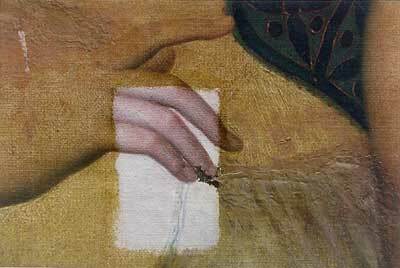 - Restoration and conservation of important paintings and polychrome sculptures. - John Ruskin's home from 1872 until his death in 1900, Brantwood became an international powerhouse and one of the greatest literary and artistic centres in Europe. The house is filled with Ruskin's drawings and watercolours, together with much of his original furniture, books and personal items. City Block Student accommodation - City Block - Student living just got interesting; our aim is to enhance your University experience. Cumbria Artefacts - Cumbria has a rich heritage of arts and culture as well as a thriving community of contemporary artists, craftspeople, theatres arts venues, events and festivals. This website is designed to share with you some of that richness and to provide information that will enable audiences and visitors to further enjoy the cultural gems of Cumbria. Creative Lancashire is the creative industries development service for Lancashire, Blackburn with Darwen and Blackpool. - Fabrix, Lancaster was opened by Terri Sethi (2015 now retired) in 1988. Now run by Jenny. The shop stocks one of the largest ranges of dress materials, patchwork and quilting fabrics, patterns and haberdashery in the northwest of England and has regular customers from all over the UK. 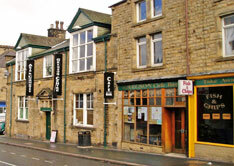 The Dukes Theatre - The Dukes Theatre, Lancaster - Theatre and Cinema programmes and Gallery. FRED - Welcome to FRED. The Annual art Invasion will involve Artists from across the UK and beyond to create projects in locations around Cumbria. - The Gregson Centre is a community centre in the Freehold area of Lancaster it provides a supportive, nurturing, non-discriminatory environment for a huge variety of Arts & Events, community activities and groups. Do you want to become a member of the Gregson? For a small annual fee, you get discount on our extensive cafe and bar menu, discount on entry to our events, room booking discount, and also a discount on selected events down at our excellent local theatre / cinema, the Dukes Playhouse, just down the road, and a warm feeling of belonging! - The Green Room, Morecambe's only Coffee House and Internet CafeÂ© Ã‚Â©. Established in 1984, we are a family run establishment with an excellent trade, well supported by locals as well as visitors to the resort. - Neil Gott landscape, gardening, property, painting, decorating ,maintenance, odd jobs and repair service from a handy man in the Kirkby Lonsdale area of the Lake District. 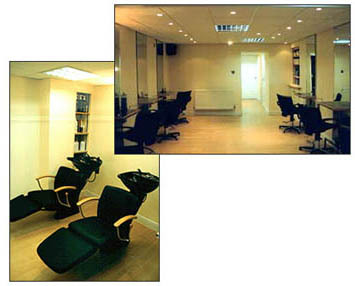 When you enter our salon you will be greeted by a warm, friendly environment that is a feature of Heaton Hair. Our aim is to make your experience of our salon as pleasant and as professional as possible, with our bright, friendly and highly experienced staff we are sure you will find the stylist to suit your needs. Our stylists are fully trained in all aspects of technical services, with intense training on colouring as this is such an important part of creating a style for you. Whether classic or fashionable, we can create a colour to enhance your style. Creating a high standard of work can only be achieved using a high standard of product, and using our range of quality products we are confident in what we use, while remaining open minded towards new and up & coming products and ideas. We do work on an appointment system but as cancellations do occur please feel free to just call for an appointment. Lancaster Castle - Lancaster Castle this fascinating Grade 1 listed building has dominated Lancaster for almost 1000 years and is one of the best preserved and hardest working castles in the country. Trade & Industry - The Lancaster District Chamber of Commerce Trade and Industry works to develop the local economy by representing local business and providing a wide range of support services to help them become more dynamic in the market place. - Website for The Lancaster Guardian. Find news, sport, business news and entertainments, plus used car search, jobs search and house search for the Lancaster area. Lancashire Artist's Network (LAN) - Lancashire Artists Network aims to promote the interests of visual artists and craftspeople living or working in Lancashire. - It's a great space and a great group of people. Where Life feels good. 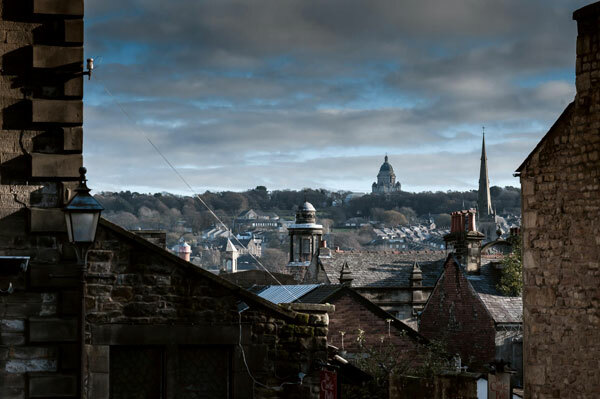 - Historic Lancaster, a beautiful city steeped in history with an incredibly varied shopping hub. From the hustle and bustle of the European Markets to the quiet street cafes there is always something special round the corner here for you. With a natural beauty and the cosmopolitan buzz of the streets, Lancaster is a unique, magical place to visit all year round. Lancaster & Morecambe C. C.
Home Page - Lancaster City Council's Home Page for Lancaster and the Morecambe Bay area. Lancaster.gov What's On? - Lancaster District has a year-round arts and entertainment scene with something sure to please residents and visitors alike. - The historic home of the world-renowned Gillow furniture making family, Leighton Hall is a stunning location for a day out, an exclusive wedding or extraordinary corporate event. Its romantic Gothic towers and acres of beautiful gardens annually lure thousands of visitors, who are as enthralled with Leighton's fascinating heritage as they are captivated by the breathtaking beauty of their surroundings. Leighton Hall is a perfect venue whether you're a teacher looking for an educational outing, a bride searching for her very own fairy tale castle (Leighton has a license to conduct civil ceremonies) or a producer seeking out an unusual location. 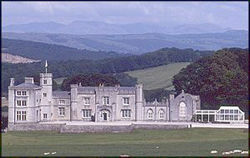 Leighton Hall can be found in the north of Lancashire, just outside Carnforth, a few miles from the city of Lancaster nestling in a bowl of parkland against a backdrop of English Lake District hills. The Hall is open to the general public from May to September, but pre booked groups and private parties are welcome all year round. .
Lune Fiction - Lune Fiction represents the finest in flash fiction, gaudy literature & blitz stories. Indeed, the mag's main purpose is to further the cause of flash fiction, as the manacles of excess within conventional literature must be destroyed. Plato's Kirkby Lonsdale -Fab food, great wine, real ale - Proper home cooking with a twist made from fresh ingredients sourced on our doorstep, a wine list selected by grape so that you can try new variations of your favourite wine, and honest beers and ales for the drinker who knows the difference. Morecambe, Lancaster and the Lune Valley - Lancaster District has a year-round arts and entertainment scene with something sure to please residents and visitors alike. Lakeland Life - "The English Lakes brought to life through real objects"
- The Nuffield Theatre is a space for audiences, artists and participants to make, discuss and experience live performance. One of the largest studio theatres in Europe , its adaptability makes it a versatile environment in which to present challenging new work. It works closely with researchers, providing an excellent resource for processing, creating, viewing and critiquing contemporary performance. The Nuffield Theatre has a long and respected tradition of staging and commissioning experimental performance from across the UK and abroad. From Jerzy Grotowsky to Bobby Baker, Forced Entertainment to Akram Khan, many of the most important performance makers of the last 30 years have shown their work here. The Nuffield has commissioned seminal works which have gone on to tour nationally and internationally and regularly host the UK premieres of new performances. The Nuffield also works closely with Theatre Studies at Lancaster University (particularly in the field of practice as research), and forms the prime site for students' engagement with the creation, viewing and critique of contemporary performance. The Nuffield supports a range of emergent and experimental practice through its New Works programme and its Emerging Artists scheme. This, alongside a range of community and education work, has been aided by increased funding from Arts Council England North West. Paper Gallery - As well as cards you will find everything you need to wrap and decorate your presents. Together with gift items from packs of notelets, stationery and blank journals to photo frames and albums. The picture framing service is unsurpassed in the Lancaster area with the widest range of materials you could hope to find. As well as offering a bespoke picture framing service we also carry a range of ready-made-frames. -Fine Quality Same Day Print Service, Posters, booklets, brochures, flyers printed. Canvas printed and framed. Photo restoration. Binding service. - Samlesbury Hall is developing a fine reputation as the place to view, buy and explore Lancashire's distinctive and delightful creative art, crafts and design. Thomas Storey 100 Years ago - is one of the country's best naturally lit exhibition spaces - recently described by Anthony Green RA as "a hidden gem of the North". - SP Signs and Graphics realizes the importance of Corporate Identity. We use the very latest technology and materials to produce cutting edge results in everything from single or full colour right up to photographic finishes..
- Close to the North Yorkshire Dales, The Lake District National Park and The Trough of Bowland. The properties are located in stunning countryside and are ideally situated for exploring an area steeped in history and rich in natural beauty. Routed trails and footpaths wind through the estate grounds, which are a haven to an abundance of wildlife and the perfect country for walkers. - Wray Village showing life in a beautiful rural location, in the Lune Valley, Lancashire, England. Lancaster - The Park includes the Ashton Memorial (a famous folly on the skyline overlooking Lancaster) and Tropical Butterfly House, Mini-Beast Centre, Foreign Bird House and Conservation Garden. - Robin Zahler is a Lancashire-born working artist who has focused on photography for over 15 years. Capturing light has been a life-long endeavour and the images here are a personal collection of recreational shots. Prints have minimum processing for a very real and natural feel that reflect the atmosphere from the moment the photograph was exposed. LakesUK, the source of tourist information about the Lake District in the UK. LakesUK have a variety of information about towns in the lake district, featuring accommodation, what to do, what to see, great days out. Studio Arts support and promote many art related and other sites of interest by providing FREE links. All that we ask is that you provide a reciprocal link to us by return.